Top has velcro fastening . 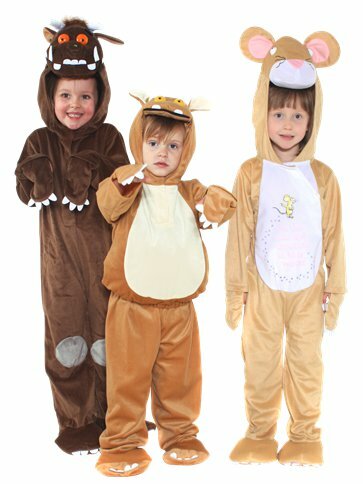 Gruffalo hooded top with padded tummy, detachable tail and attached hand covers. Trousers with attached shoe covers. Machine wash.Do not bleach.Do not tumble dry.Do not iron.Do not dry clean. 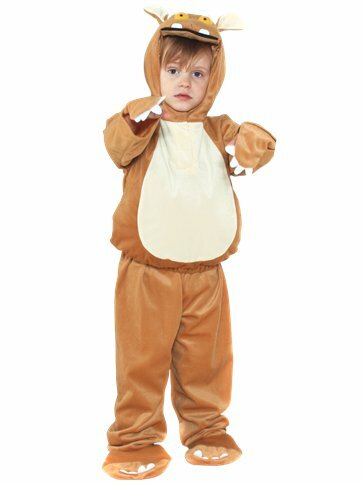 This deluxe Gruffalo's Child costume features a light brown, soft feel, velour top with a squishy padded tummy, attached hand covers which are secured in place with an elastic strap, a tail which attaches with velcro and an impressive attached hood with a cute Gruffalo face. 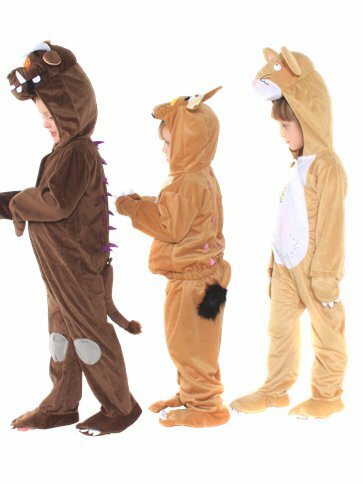 Also included are a pair of matching trousers with an elasticated waist and attached shoe covers with elastic under-foot to secure in place.